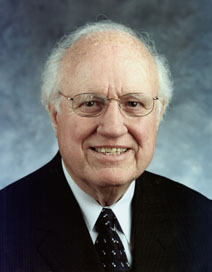 Info Julian Carroll, a native of McCracken County and graduate of the University of Kentucky law school, was elected to the Kentucky House of Representatives in 1961. He served as speaker of the house from 1968 to 1970. In 1971 he was elected lieutenant governor and became governor in 1974 after Wendell Ford resigned to go to the U.S. Senate. Carroll won the 1975 gubernatorial election, leaving office in 1979. He currently practices law in Frankfort. One of Carroll's major causes while governor was the improvement of public schools. Kentucky's national standing in public education went up sharply in several areas during his tenure. Governor Carroll's many other achievements include expanding the state park system, establishing a matching grant program for encouraging the arts, and providing aid to the poor to help pay fuel bills. He also promoted a constitutional amendment, approved by voters in 1975, which drastically reorganized the state's legal system and made it a model for the nation. In 1976 Governor Carroll created the Kentucky Bicentennial Oral History Commission and provided continued support to the program throughout his term in office.